Note:Japanese voicing with English Subtitles. *raises both hands* Does that count as 2 votes? I can understand why there is no good copy of it out because it is VERY HARD to rip. It took me a long time to find a good program to rip it with. There were many audtio codec problems with the programs. In order to view this rip of it you must have a codec and use Windows Media PLayer. I'll fill you people in on it if you want it. I will tell when the torrent is up. At this moment it looks like not enough people want it. O well. I thought people would want this. 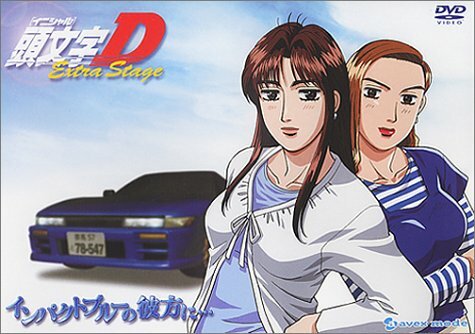 Maybe they only want Initial D Thrid Stage. At least my Prelude to Project D Torrent is doing very good. Mako & Sayuki!!! Any filesize is worth it for these girls XD Impact Blue all the way! Only 3 people so far. Everyone voice your support or I'll have to beat you into submission! Well Im gonna post the torrent for Extra Stage soon. It probably wont be up as long as "Prelude to Project D". But lets see how this torrent goes. Look at my first post. Its going to be edited. I hope the people who want Extra Stage see this post. Its just too damn big. have you tried converting the file? Of course I have tried that but there is always audio errors. If I try to ignore the error and still convert it. The video and audio will be off. It wont be synchronized. It may be 3.5 gigs but at least you get DVD quality and surround sound for it. The video also supports 2.1 surround sound. The quality of this video is great. Nothing wrong with it. All you need is the codec. I love that I have 2.1 surround sound for my computer. Pump up the bass. 2.1 speakers or more are like a MUST get!!! can you burn this folder onto a DVD and view it on a DVD player on the TV? Yes you can burn it to a dvd and play it there. But I took out the menu. So if you wanna do that then you need the menu.